Appellants HTC Corporation and ZTE (USA) Inc. (“HTC”) appeal a final written decision by the Patent Trial and Appeal Board (“PTAB”) in an inter partes review. The Board instituted inter partes review of challenged claims in patents owned by Appellee Cellular Communications Equipment, LLC’s (“CEE”). The PTAB concluded that HTC failed to show that any of the challenged claims were unpatentable. The appeal involves one patent, which relates to radio communications systems wherein a mobile device is assigned a plurality of codes for transmitting messages. The base station may command the mobile device to increase transmission power, in order to counter signal interference when sending a message. To avoid operating at maximum transmission power, the patent’s claimed solution set a “transmit power difference” at the beginning of the message transmission. HTC raised one primary argument on appeal, specifically, that the PTAB failed to construe the term “message” according to its the broadest reasonable interpretation, as applied to its anticipation analysis. The record indicated that the PTAB did not expressly construed the term “message,” nor did HTC seek a particular construction of “message” before the PTAB. On appeal, HTC advanced inconsistent claim construction arguments at various points in its briefs and during oral argument. Nonetheless, the Court understood HTC’s contention to be that the PTAB’s application of the term “message” improperly excluded embodiments of the patent-in-suit specifically relating to single frame messages. The Court relied on the PTAB’s Final Written Decision findings to conclude that “messages” could include one or more frames. This understanding was supported by expert declarations by both sides. Analysis of the “understanding” of a claim term was proper because the PTAB’s “findings establishing the scope of the patentable subject matter may fall within the ambit of claim construction.” See Netword, LLC v. Centraal Corp., 242 F.3d 1347, 1355-56 (Fed. Cir. 2001). Therefore, although the PTAB did not expressly construe “message,” it properly understood its scope, as claimed, to include single frames. 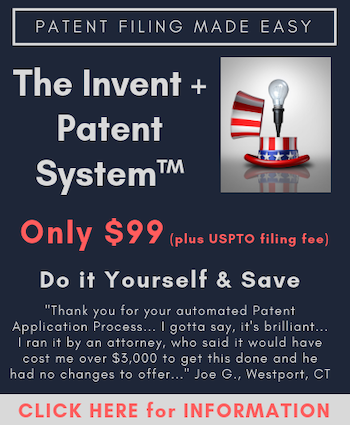 The PTAB did not err, and the Federal Circuit affirmed the PTAB decision. There is no need for the PTAB to explicitly construe claim terms if the PTAB’s findings were sufficient to establish its understanding of the scope of the claimed subject matter. A bit conclusionary in my book. I guess you don’t have to show your work in math class anymore either. Funny, section 706 of the APA and In re Sang-Su Lee are pretty specific about the need for specificity.